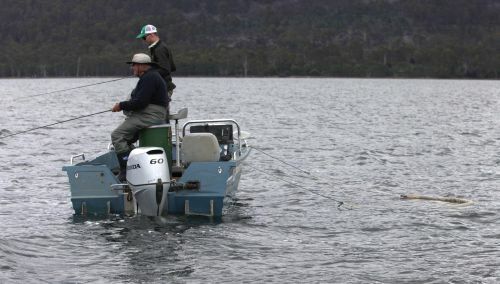 March is a period of happiness and sadness for Tasmanian anglers. Happiness for the anglers that rely on warm currents or warm weather as there is still some of that. Sadness for those anglers that love their daylight savings as March has the days noticeably shorter working to the date in April we play with clocks. Do NOT despair as there is still lots and lots to enjoy angling wise. 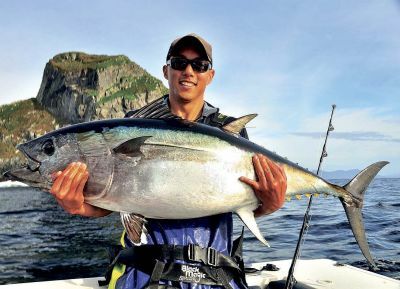 The Southern Bluefin Tuna scene in Tasmania has always been popular across Australia, but it is really starting to attract some broader attention. This is in some part due to Tasmania’s fishing being far enough away that it does not feature in Australia’s main stream media. Facebook has changed this in a very short space of time. Anglers have linked up and made friend requests across the country and now if someone catches a good fish anywhere in our nation, the nation’s keen anglers know about it. 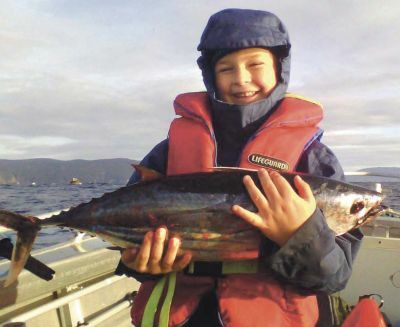 Tasmania has many reasons to find favour with anglers across Australia, so let’s start running through a few. 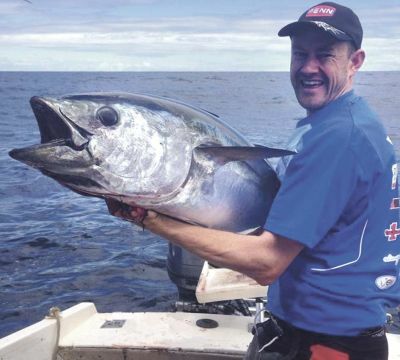 A previous trailer boat trip to the Maatsuyker Island group in late February resulted in the capture of two 45kg southern bluefin tuna (SBT). This was primarily a work trip with some fishing thrown in, but immediately opened my eyes to the potentially amazing fishing this place had to offer. Once back at home in Launceston I immediately began preparations for a return trip. 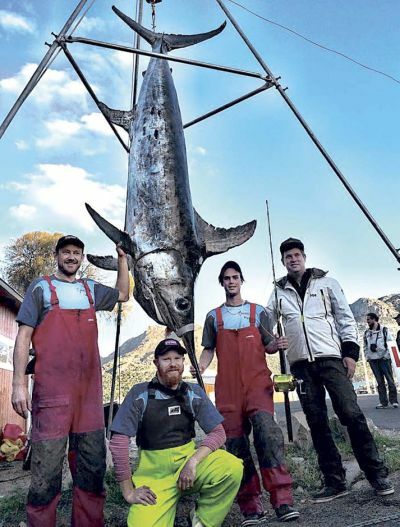 I contacted a couple of like-minded fishing mates that lived in Hobart and told them of my previous discovery, and as expected they didn’t hesitate to join me on my next adventure. For the next month I concentrated heavily on making sure my boat and fishing gear was ready to go at a moment’s notice, all the time watching the weather closely. Exactly one month later we had our opening. Weather down south had been mild all week and Sunday looked perfect. A 5-10 knot northerly for the best part of the day, followed by a stronger sea breeze later that afternoon. I was well organised and only had to hook up the boat to begin the long tow to Hobart. I arrived in Hobart Saturday afternoon and immediately began final preparations for an early start Sunday. Unfortunately later that night our third crew member pulled out and we were left short an extra set of hands (as well as someone to split the fuel bill with!). This brought its own set of complications. We were about to undertake a long-range trailer boat mission to one of Tassie’s wildest and most isolated locations, with just a team of two. This was going to be interesting. 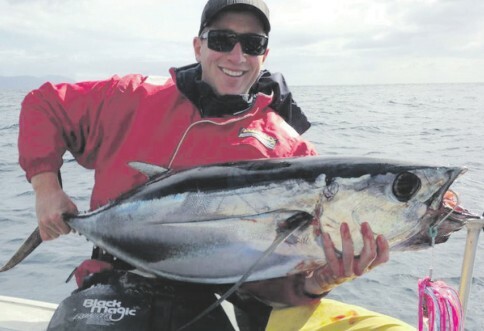 Tuna season is well upon us and as Matt Byrne writes, with some preparation, a Tuna out of your tinnie is a real option proving that you do not need all the top end gear to get amongst the action. 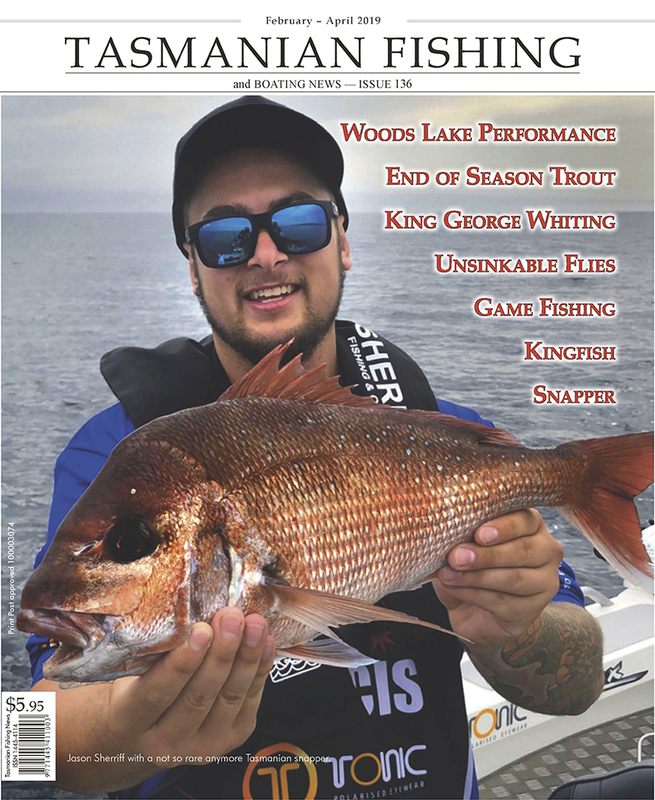 Every single angler has a new goal or something they aspire to, whether it be catching a wild 10lb Trout, a Tasmanian Snapper or more recently perhaps even hooking a Broadbill swordfish. Yes, with the right amount of money you could indeed hire the top guide or the big boat with the gun crew and probably shortcut a lot of time and effort in achieving your dream fish, but would it be truly as satisfying I ask as having done it in your own boat, in your own backyard and with your own tackle? For me, there is something incredibly satisfying about doing all the hard work in researching your target species, knowing its habits, preparing your gear, learning from your mistakes and of course in the end experiencing the thrill of landing that target fish. 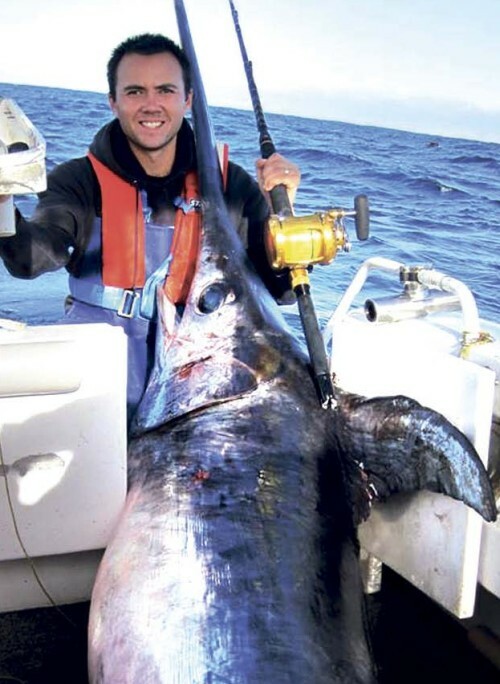 Small boat tuna fishing has all of that and much, much more and in this article I will detail everything I have learned about what is arguably one of the most adrenaline filled forms of fishing, targeting high speed Tuna out of your tinnie. Tuna and offshore The tail end of May and June saw Eagle Hawk Neck firing. The school sized fish were anywhere you cared to mention and if you found them when they came on to feed you were bound to have success. July will be no exception with the added hope the big jumbos have thickened up with the cooler weather. We are exceptionally spoilt in regard to the distance we can travel to find fish in Tasmania. You will drive over a lot of fish if you think you have to bee line to the Hippolyte rocks and Tasman Island to get fish. 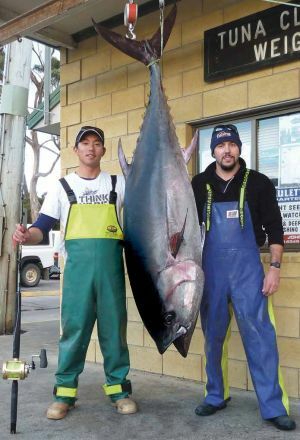 Areas just outside Pirates Bay have been holding good bait and in turn good numbers of Southern bluefin tuna. Fishing has always been a big part of my life however, for most of it I was land based. I was content fishing from the shore for a very long time, and don’t get me wrong I still love fishing off jetties and beaches to this day. However after getting the tuna fishing bug about 5 years ago, I knew that the only way I could fish for these offshore speedsters whenever I wanted was to get my own boat. It wasn’t till January 2013 that I finally bit the bullet, and ended up purchasing a modest 5.5m fibreglass Savage Ensign named “Mustang Sally”. After taking ownership of her I considered changing the name at some point down the track. Little did I know at this point in time that after the season I’d have with her, this name would be staying with the boat forever. 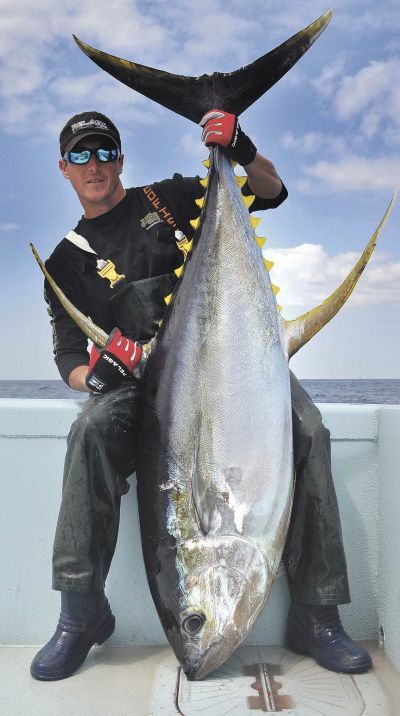 After the reports of numerous jumbo southern bluefin tuna (SBT) caught days before, during, and after the 2013 Tom Jenkins Memorial Bluefin Competition, the temptation to fish was too much. After checking the weather for the week, I applied for one day’s leave from work, and Tuesday was the day.